Good weather during the first few weeks of April allowed ample time to complete the new plantings on our estates. 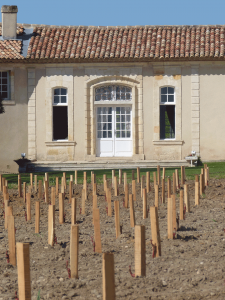 Let’s have a look at this vital stage in the cycle of our estates, with a particular focus on Chateau La Garde, in Pessac Leognan. 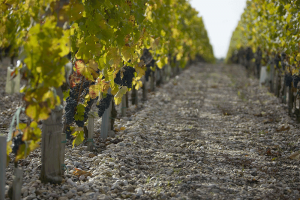 On the Dourthe estates, the vine is a legacy of patience and exacting standards. Planting schedules are afforded a longterm view and from the time the old vines are grubbed up, it can take 4-6 years for each new vine to produce fruit. Each estate draws up its own 5-year plan in a bid to balance restructuring old plots of vines, the average age of the vineyard and the best grape variety/locality match, always in the continued aim of improving quality. Once the decision has been taken to restructure an old plot of vines, work can commence, usually towards the end of autumn. The old vines are grubbed up, and the soil painstakingly cleared of any larger roots. 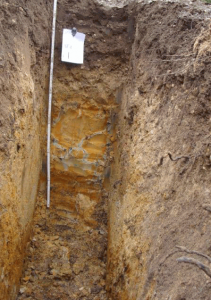 A grid pattern of soil pits is dug out as a matter of course to study the profile of the plot designated for replanting, in order to look at the soil and subsoil, and its overall suitability for vine cultivation. This highly technical analysis of the soils will play an important role in selecting the most suitable grape variety for each area to be replanted and the rootstock/grape variety combination. The soil pit will even assist in finetuning this decision depending on the characteristics of each individual area within a given plot. At Château La Garde, Cabernet Sauvignon and Petit Verdot are planted on parcels of deep gravel on the higher ground. Merlot flourishes on fine gravel overlying clay subsoil. White varietals such as Sauvignon blanc and Semillon have settled on less exposed, colder soils, with a high clay content. 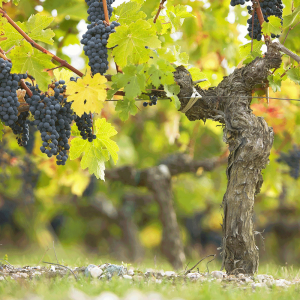 Having supported vine growth for several decades, the soils need to rest. 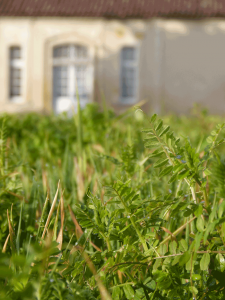 It takes time to break down the deep roots and to eliminate any harmful insects or worms (nematodes) in order to reintroduce new plants into entirely safe conditions. 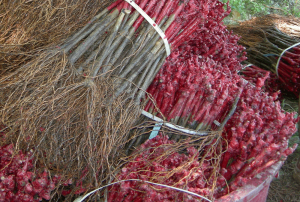 During this period of 1-2 years, plant cover is introduced, chosen according to the specific needs of each parcel. Different species such as grass, leguminous plants and oilseeds have the following benefits, depending on the needs identified during the soil analysis process: improving soil structure, providing the soils with an adequate supply of minerals and organic matter, stimulating biological activity and protecting the soils from erosion and run-off by improving water infiltration rates. 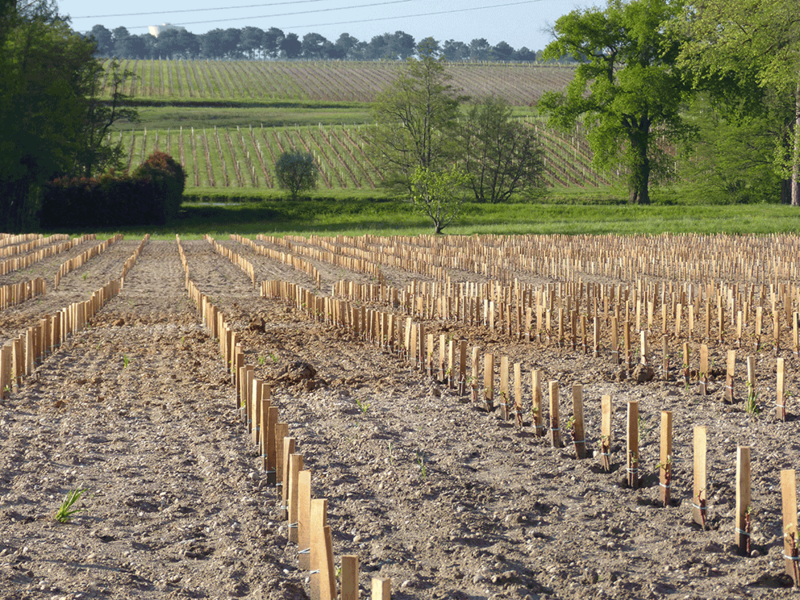 After the soils had rested for more than two years, the new “Chartreuse” plot was replanted during the first few days of April in ideal weather conditions. 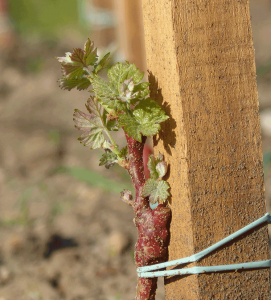 The young Merlot vines are doing well in the fine gravel soils overlying clay, and the first leaves are already starting to grow. 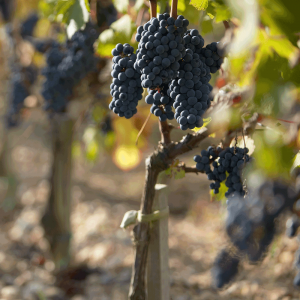 The vines will produce their first crop after the third year, but it will take another few years before they attain the depth and complexity of a fine Pessac-Leognan wine. Great info. I have book marked it for later!